Djokovic, who fired his entire coaching staff earlier this month in an attempt to “shock” himself out of his funk, briefly looked to have regained his form this week at the Italian Open. He wrapped up a cool, rain-delayed defeat of Juan Martin del Potro, 6-1, 6-4, and later that same day dismissed Dominic Thiem—who had been playing well enough to snap Rafael Nadal’s 17-match win streak—in a 6-1, 6-0 rout. That semifinal starred the imperious Novak of old, peppering the corners with deep groundstrokes, smooth-moving and unrelenting. But that was not the same man who showed up at the final the next day, losing to 20-year-old Alexander Zverev 6-4, 6-3, failing to find a single break point all day and spraying 27 errors. This is the mess Agassi will get to tinker with in Paris: an all-time great who controlled the tour a year ago but now only fleetingly matches his former dominance, and who has completely cleared house, desperate for novelty. Spiritually, the choice makes sense: Djokovic has discussed issues with psychological motivation over the last year, and Agassi famously struggled on that front over the course of his career, having been coerced into stardom by a domineering sports dad. 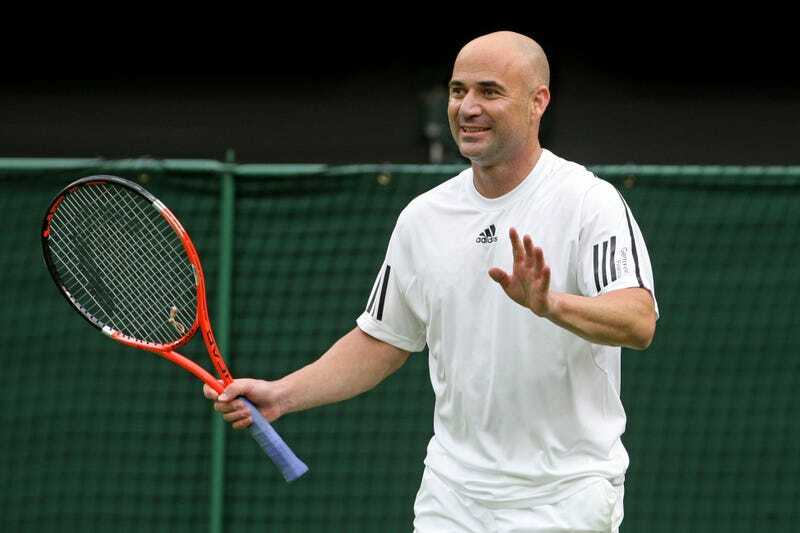 “I play tennis for a living even though I hate tennis, hate it with a dark and secret passion and always have,” Agassi wrote in his 2009 autobiography. Stylistically, too, it’s an apt pairing. Djokovic and Agassi are two of the best players to ever return serve (here’s nearly an hour of proof), and they share a sturdy baseline game and penetrating two-handed backhand. Agassi played with a little more aggressive flair—he hit a much flatter ball—and it’ll be interesting to see if he can transmit some of this to the defensively minded Serb, whose groundstrokes have visibly lacked punch as of late. Keep an eye out for any improvements as Djokovic begins his French Open title defense next week.